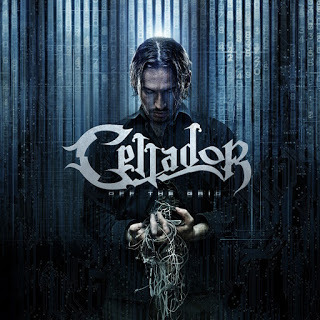 Tormented by an insanely-troubling past, Colorado-based power metallers Cellador have seen themselves beset by label and lineup turmoil that has stunted and very nearly halted the promise shown by their initially-appealing debut work just over a decade prior. Attempting to carry on with a new, solidified lineup, the long-awaited sophomore album will be released March 10, 2017 on Scarlet Records. Considering the long layoff, it’s entirely possible to forget what the band was about and to fix that the group manages to fly right out of the gate with what made them so promising in the first place. There’s efforts like Sole Survivors, Shadowfold and Wake Up the Tyrant which feature plenty of tight, fast and frantic thrashing patterns laced with strong melodic accents flowing throughout here, generating the kind of explosive up-tempo power metal rhythms full of aggressive attacks in the rhythm. That goes hand-in-hand with a more stripped down, simplistic approach of the title track, Break Heresy and Swallow Your Pride that generates plenty of fiery, engaging material without the long-winded and aimless approach of their past, streamlining the best tactics into a more substantial and cohesive style of attack that still brings out their best work in propelling plenty of speed and intensity out while displaying top-notch melodic interlaced together for a spectacular and energizing style. Though the epic approach to their past material gave them a somewhat more unique and individualized identity in the field during their initial appearance in the field, the fact is the intervening years and their stripped-down style has now come back against them as it turned them into a slightly rehashed and formulaic style without really doing much else about it, but being not only an engaging approach to the material and given the turmoil within the break it’s commendable to be this fiery and enjoyable all things considered.